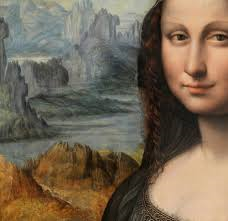 Researchers opened a centuries-old Florence tomb on Friday in a search for remains that could confirm the identity of the woman whose enigmatic smile Leonardo da Vinci immortalized in the “Mona Lisa”, one of the world’s most famous paintings. Historians say Gherardini – whose married name ‘Gioconda’ is used in Italy to refer to the Mona Lisa – spent her last years at the Saint Orsola convent, a dilapidated building where the hunt for her bones began last year. Vinceti believes one of the three could be Lisa Gherardini. “For centuries, historians the world over have been coming up with various theories about who this enigmatic, mysterious woman could have been,” he told journalists outside the Santissima Annunziata basilica in Florence. Vinceti hopes some of the bones lying in the cramped underground room behind the Santissima Annunziata’s main altar will belong to at least one blood relation of Leonardo’s muse, probably her son Piero. Once a DNA match is made, Vinceti says an image of Gherardini’s face can be generated from the Saint Orsola skull and compared with the painting, the biggest attraction in the Louvre museum in Paris. “When we find a match between mother and child – then we will have found the Mona Lisa,” he said. The painting, which draws millions of visitors each year, is famous for the sitter’s mysterious half-smile. The Louvre says it was probably painted between 1503 and 1506. Opening the Giocondo family tomb for the first time in 300 years is a critical phase in the search by Vinceti and his team, who in 2010 said they had discovered that the mysterious death in 1610 of another Italian master, Caravaggio, was likely caused by lead from his paint. The researchers say carbon-dating tests on three of eight skeletons exhumed from the Saint Orsola convent are under way and they will do the same with the contents of the Giocondo tomb – although it could take a year before the DNA testing process is started. “If we succeed, we can finally resolve three questions which have obsessed historians and art-lovers worldwide,” Vinceti said.